ALERT: Daily Fantasy Sports Gambling Bill Scheduled in House Committee Tomorrow! A bill that would legalize Daily Fantasy Sports Gambling in North Carolina is scheduled to come up for debate in a House committee tomorrow, Wednesday, May 30, and NC Family could use your help! HB 279—Fantasy Sports Regulation is on the agenda for the House Judiciary IV Committee, even though it was defeated in another House committee last year. 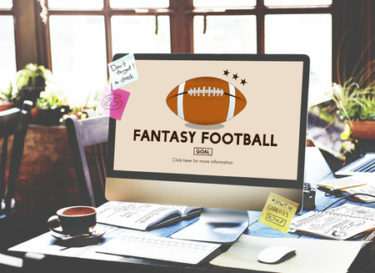 Big gambling interests try to pass off Daily Fantasy Sports as a harmless online activity, but this form of online gambling is far from the “old-school” fantasy football that some have played with family and friends. Daily Fantasy Sports is full-blown sports gambling generating hundreds of millions in wagering every year. Please TAKE ACTION NOW by visiting the NC Family Action Center and sending an email urging your State House Member to OPPOSE House Bill 279.